Quick: How many of the emails currently sitting in your inbox were you excited to see? How many were you anticipating and looking forward to reading? I just took a quick look at my inbox before I typed that question and my answer is zero. Not that I don’t have plenty of emails in my inbox, I do…hundreds. But not a one to pique my interest and perk up my day. Where are my purple emails? Seth Godin’s book “Purple Cow” was published in 2003. 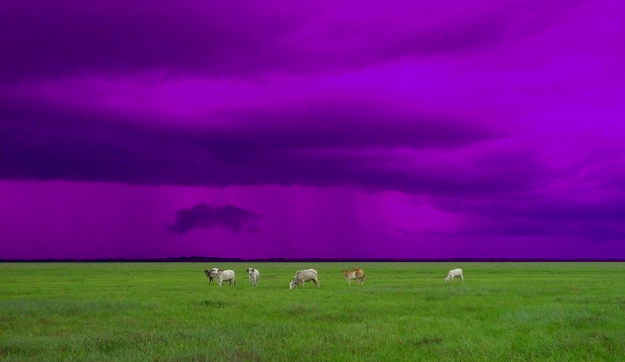 In that book, Godin pointed out that seeing cows was nothing new, boring in fact, but you’d notice a purple cow. His book encouraged marketers to think purple and be willing to stand out. Yet, 12 years later, I still don’t see a lot of purple cows in my inbox. I don’t even see marketers working at being purple. Instead I see them worrying about things that maybe they shouldn’t. Marketers worry about many things, and rightly so, but maybe not always in the right order of importance. High on the worry list of many marketers is frequency. In an effort to push hard to make sales, marketers have a tendency to over mail their prospects, leading to an annoying frequency that in turn leads to spam complaints and unsubscribes. When that happens, marketers often turn down the frequency and email less. But is that really the problem—and solution? Chances are, the frequency isn’t the problem. The content is. What’s so hard about awesome emails? Perhaps marketers should stop worrying about how many emails they send, and start worrying about how much value they’re offering instead. I look forward to the day when marketers put so much effort into content that it’s the bad ones that stand out in my inbox, not the great ones. That day won’t come, however, until marketers make an effort to put content in front of me that’s meant to wow. It’s not that hard. It only requires putting the subscriber or customer first, and having a desire to interest and engage them. It’s like dating: If you go on a date and only talk about yourself all night because you don’t care about the other person, you’re not interesting or engaging. But if you go on a date and you think about how to be interesting and engaging to that person you’re having dinner with, your behavior will change. You’ll be thinking about that other person and making an effort to ask questions, to discuss topics that interest them, and to make sure they’re having a good time. What if we treated email marketing like a battle of brilliance rather than a numbers game? Which brand do you think would win, the one that delivered awesome content people loved? Or the one that sent fewer emails?